Situated on a quarter acre lot only 400 yards to the bay access, this 4 bed 3 bath, 2133 sq ft home offers ample space to feel at home. 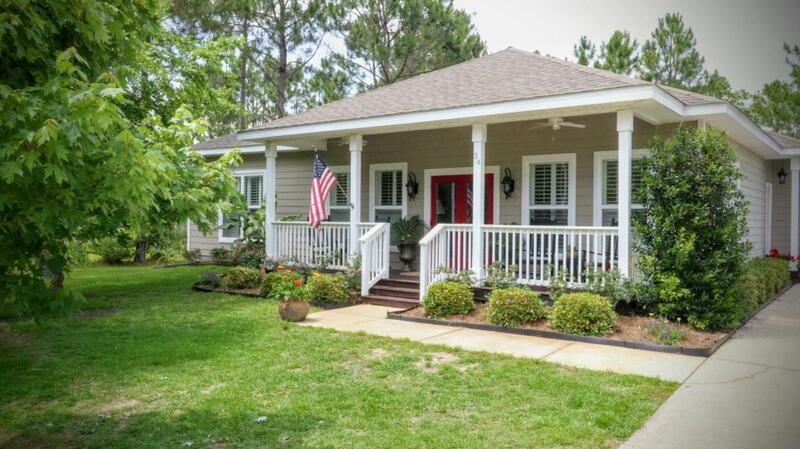 Hardwood floors, granite counters, plantation blinds, recessed lights, and sliding barn privacy doors for office/4th bedroom add extra updated touches. Enjoy rocking on the front porch, or grilling on the back deck. Fruit trees and raised garden offer at-home gardening. Workshop/garden shed building provide ample storage. Kids will enjoy the playground in back yard. Located just around the corner on Don Bishop Rd, the bay access is perfect for launching kayaks or paddle boards. No HOA fees for this home. Shown by appointment only, with 24 hour advanced notice.